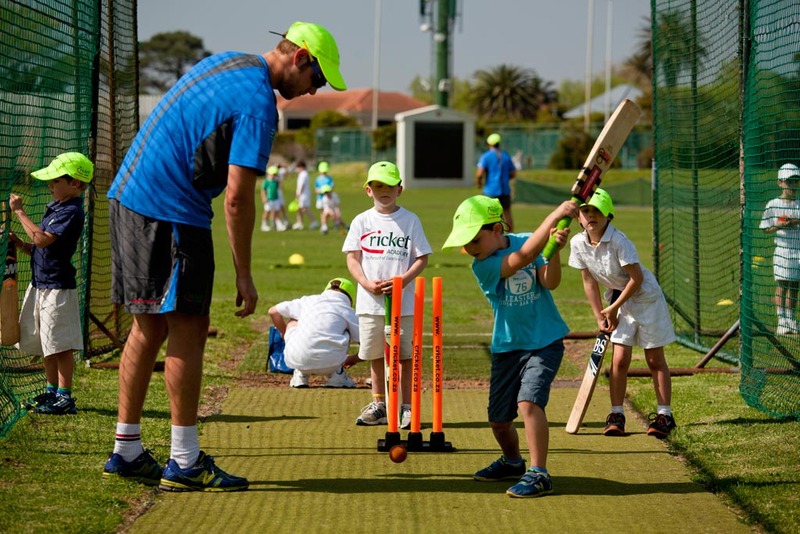 Does your son get individual attention at school Mini Cricket? Does he spend time in the nets learning the correct fundamentals that will help him succeed and enjoy his cricket? Is he one of many running around on the outfield not learning anything? Our Mini Coaching provides individual attention in small groups of 6 players at a World Class facility. We use 4 indoor and 4 outdoor artificial nets. Our highly skilled coaches teach fundamentals developed over 20 years that will give your son a head start and set him apart from the other kids at school. We’re serious about giving individual attention and provide written feedback at the conclusion of each term for all our players. We maintain a ratio of a maximum of 6 players per coach to ensure personal attention.